Poppy Juice: How Much Do We Really Need? Lately I find myself looking at my belongings and wondering how much stuff I really need. 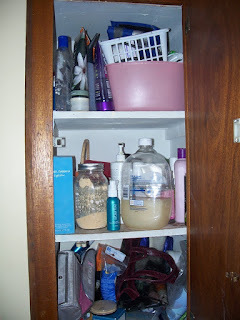 Bathroom cabinet - look at all that junk! My closet is full of clothes and yet I wear only a third of them on a regular basis. I have tons of shoes (mostly hand-me-downs) but I only wear three different pair on a regular basis. 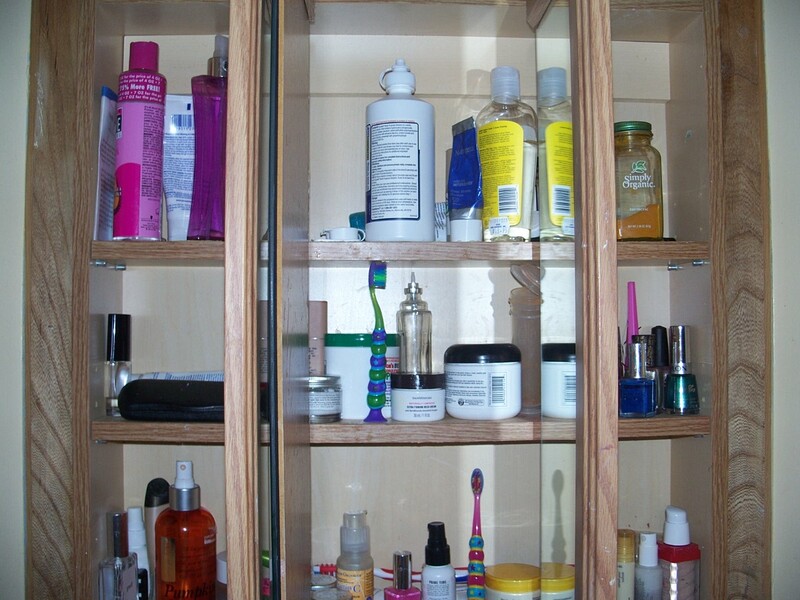 My bathroom cabinet has lots of skin care and beauty products that I never use. Most of the excess that I have are hand-me-downs from my mother. She loves to try new things and has blessed me with her leftovers through the years. While I'm so grateful to her for the gesture, I realize that most of it goes unused. I've been feeling overwhelmed with all the things in our home lately. I'm longing for a simpler life but this clutter is making my home feel anything but simple. I wouldn't consider myself a pack rat. Especially after seeing some of the "pack rat" shows on television. This isn't a money issue for me as I'm not a girl that loves to shop. It's not causing us financial hardship to have all of these things. But still I can't help but think that I've got too much stuff in my home. I've been asking myself why I hold on to things that I don't use and will likely never use. I'm not sure I have a solid answer, other than I keep thinking I might use it someday. Somehow it feels wrong to just get rid of the stuff. Perhaps there is a deeper underlying issue. Maybe I hold onto things because they give me a sense of security somehow. So, I'm challenging myself to cut back on my stuff. I will give away what I can so I don't feel wasteful. I think I will be better for it. It'll be great not to have to dig around in my cabinets and closets to find what I need. 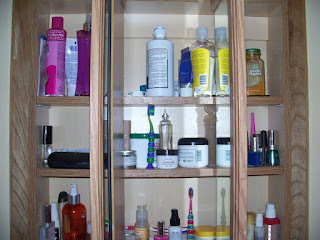 I'll update you soon with photos of my uncluttered cabinets and closets. Give me some feedback and let me know how you decide what to keep and what to get rid of. 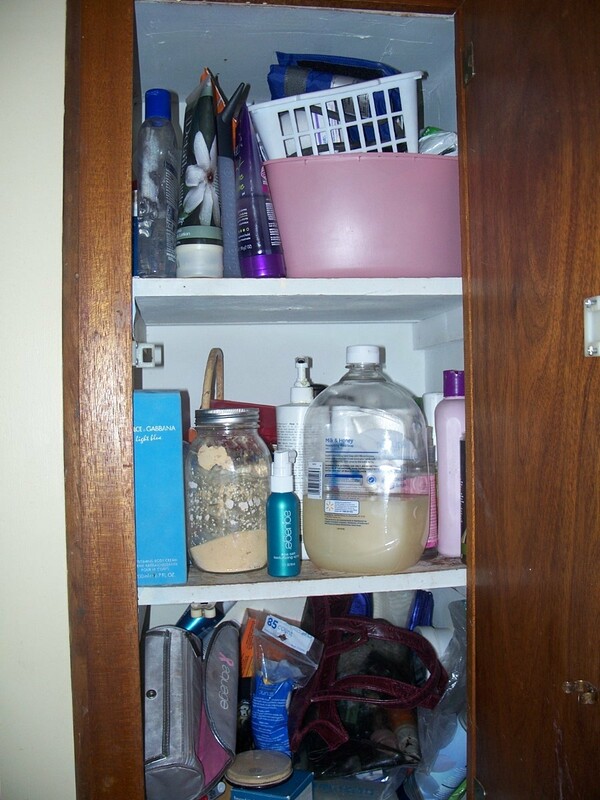 Are you a minimalist or a pack rat? 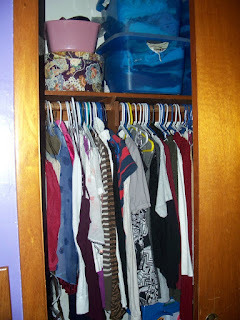 I am clearing out my closet too! So far I have emptied out 5 boxes and baskets. I am putting all the memorabilia in separate boxes for each member of the family, I have recycled an entire box and a half of paper and I have filed all of the photos away. It feels so good to clear out! Next I will be going through my clothing and deciding what to keep and what to give away or consign. I am looking forward to seeing your progress. Good for you Paula! I will be posting pics of my progress soon! I'm hoping the clearing of clutter in my house will help clear the clutter in my mind. Symbolic perhaps? Have a wonderful day! 4 months before moving I started to think about how many things we have used over the last 4 years in this apartment... I swear, I have stuff here in the closets that I haven't even moved in 4 years! And now, 2 months before moving, I decided not to take any of those things with me. I already started to make photos of the stuff that I try to sell...and the rest I will just give to charity - mainly clothes. There is no need to drag all the stuff into the new apartment. (In my mind) I actually decided not to bring upstairs all the things we don't need. I will leave in the basement the stuff we rarely use...and the rest will not occupy the space for "perhaps one day I will need it". Also if I am very proud of my origin, I must pull out my hoarding roots. The less things we have, the happier we are. Therefore - good luck for us all! Yes, Reine, good luck for us all! I can very much relate to you. My grandmother grew up during our American Great Depression. She never wanted to waste a thing. She was such a stong influence in my life that her beliefs are still a part of me. It sounds as if we are on a similar journey! Thanks dear lady, I appreciate the encouragement! Thanks, so much, Poppy, for stopping in at Cranberry Morning!! And is this ever a good post! About this time of year I need to start cleaning out. We have a good bit of space, so it's easier to just keep things we don't even need. This post is inspirational! Thanks for visiting! Yes, this is a good time of year to start cleaning out. Seems like I never wait 'til spring to start spring cleaning! I think I am somewhere in between a minimalist and a pack rat. 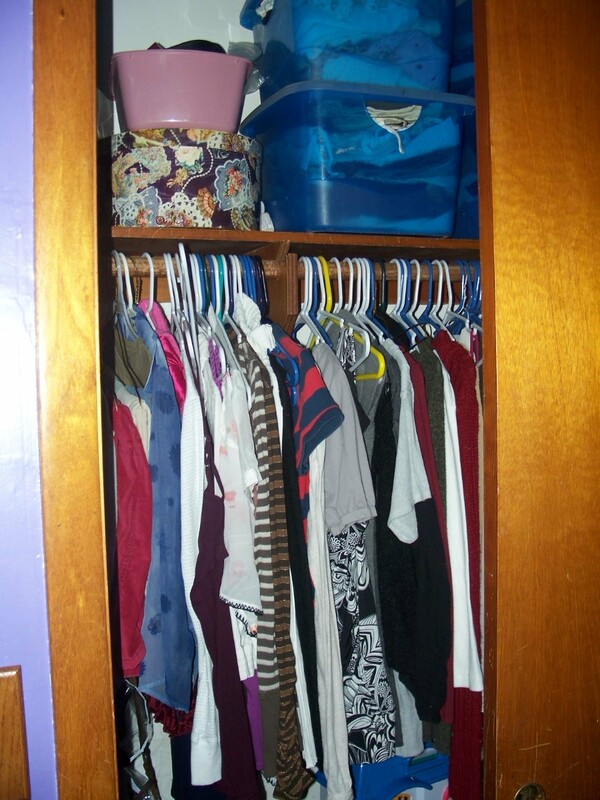 I try really hard not to bring extra clutter into the house and it always feels good to get a closet organized. I cleaned and reorganized our pantry a few weeks ago. I still love opening the door and seeing it all together! Good luck with your decluttering! Thanks Polka Dot Skies! I'm thinking you've probably found the right balance. Organization is always good, right? I feel like I'm constantly cleaning stuff out and then somehow, I get more stuff to take it's place. *sigh* It's a never ending battle. Good luck on your endeavor! I'd like to think I hold onto things because I plan on using them in the future but I'm beginning to suspect that I'm just at the beginning stages of turning into a pack rat. I come by it honestly as my grandma was a pack rat and my sweet momma seems to be a bit of one too. You make a good point though. Perhaps I just need to look at my decisions to keep or toss from an economical stand point. Thanks for your input, it's much appreciated! I would say I'm a minimalist because we have 2 Park Model mobile homes 12X30 , one up north and one in Florida and hardly have any possessions in either. We are also 66 years old snowbirds so we really don't need much. I enjoy reading your blog and look forward to hearing more great tips. My husband and I went to the RV displays at our state fair this fall and actually contemplated how much we would enjoy a simple life with almost no belongings. Of course, our six children might make a lifestyle such as that difficult. But the thought of it gave me a peaceful feeling. Hopefully in our future! Your life sounds really nice! Thanks for sharing! Good for you lady! It's a big chore for sure! Glad to know I'm not the only one! You take one look at my home and know I'm no minimalist. Yet before I moved here in late October, I got rid of so much. Didn't really bother me to part with them. Clothes are no biggy with me. Like you, I tend to wear the same thing, tend to eat the same thing, tend to do the same thing. I gave most of my shoes to the Salvation Army a few years ago. Just collecting dust. I'm with you. Not buying what I don't need anymore. Might treat myself here and there with a little something. But no more big purchases on "things." I'd say your thoughts have been along similar lines as mine lately. I read your post today about your blue curtains and think you've got the right idea! Isn't it amazing how fast our stuff piles up around us? 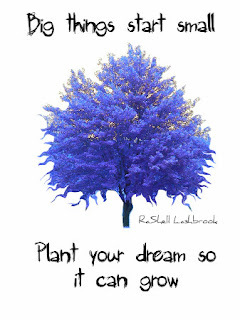 I hope you are able to accomplish this task! Your inner pack rat will put up quite a fight and try to convince you that you shouldn't get rid of each item. LOL. Be strong. So true! My inner pack rat must be a big one! Thanks for the encouragement! Thanks for stopping in to say hello! The biggest mistake I always make is move and then decide to throw it all out, so not only do I pay to move it but then get rid of it anyway! so now I am ruthless to the extreme - is that a good tip? Ruthless to the extreme is probably a great tip! I've done that before when I'm in a hurry to just get to my new home! Thanks for taking the time to stop in and say hello! You're so right! Just how much DO we need? I've been scaling back a bit, as well. Being on a strict, strict, strict budget forces one to do that, but also - I have so many pieces of clothing I never wear - that someone in need could no doubt use. I am resolving to sort through things and donate them to the Salvation Army or Goodwill. hi poppy! wanted to come by and say thank you for visiting my blog and leaving a comment this past week! really appreciate it! God bless you and yours!!! Oh, I hear you! This year, above all other years, I have these intense urges to just purge everything! It'll be a process, no doubt, but I think it will feel wonderful to create some breathing space ;-) Happy purging!